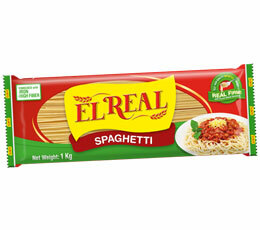 Pasta is made from high-quality durum wheat semolina flour which makes every noodle strand firm. 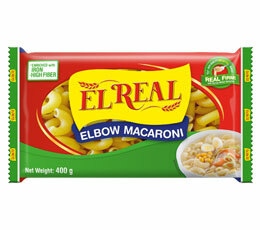 Its texture easily absorbs the flavor and color of sauces. 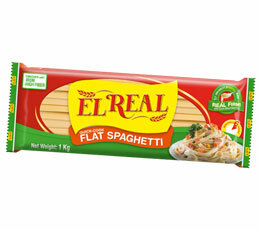 High-fiber pasta made with real malunggay, and carrot bits. 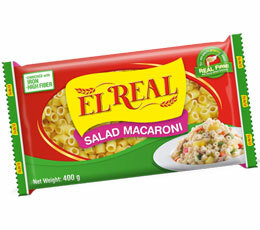 It is rich in Vitamins A, C, and Calcium, and is zero cholesterol, zero transfat. Quick, and easy-to-cook pasta variants perfect for any occasion and celebration. 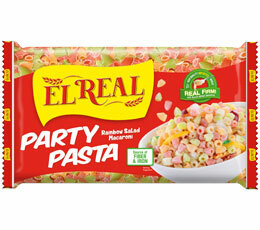 Rainbow-colored pasta that is made from high-quality durum wheat semolina, which makes the macaroni firm and "al dente". 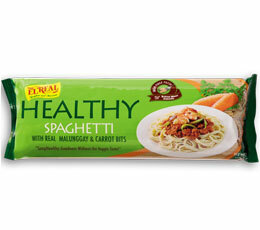 It is also enriched with fiber and iron to ensure healthy consumption for both children and adults.